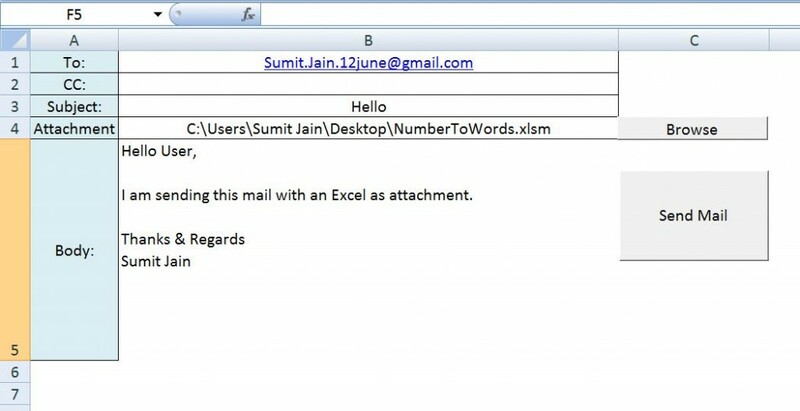 In out earlier post we have seen, How to send a simple text mail using MS Excel. 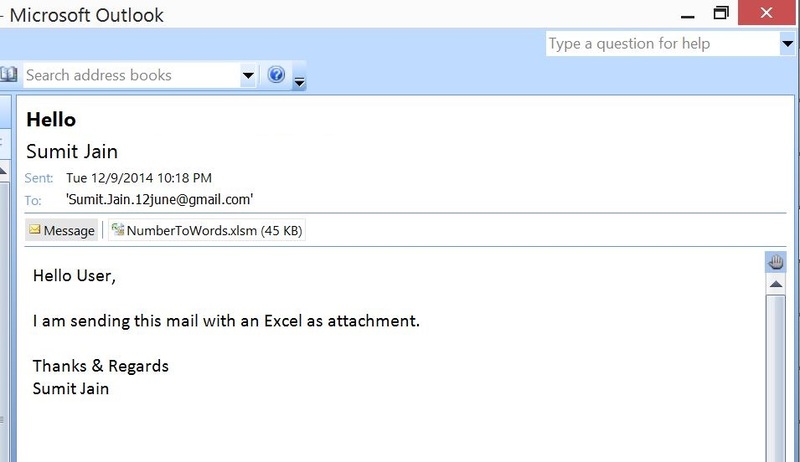 In this tutorial we will learn How to send the entire Excel Workbook as attachment along with the mail from Microsoft Outlook using Excel VBA. NOTE: I have used the browse option to make it more real, you can avoid that by directly providing the complete file name as parameter. MsgBox "No file selected. ", vbExclamation, "Sorry!" Thank you very much. I found several of your tutorials very helpful and easy to follow. Hi, would like to seek assistance if it’s possible to call two or more cells for the email body, and signature also. Thanks! Hi, may I ask, is it possible to have 2 cells for the email body? can we also add an signature? Thanks a lot. 216 queries in 0.104 seconds.